Regardless of how exciting graduating from college is, student debt is an overwhelming burden many graduates face. In 2016, the average student graduated with $37,142 in debt. For physicians, the number is $207,000, and for dentists, it’s a whopping $287,331. These aren’t trivial numbers, and they can be a huge speedbump in the wealth-building process. The first thing many students do when they finally start earning an income is begin paying off as much student debt as possible. They hope and dream for that glorious day when they’ve made their final loan payment, allowing them to close the account forever. Most conventional personal finance experts will tell you to pay off your debt as soon as possible, but I disagree. Imagine your financial life is a boat. What kind of boat? That all depends on how strong your financial life is. The more stable your finances, the bigger the boat. If you are a new graduate with a lot of debt, you might be sitting in a small rowboat filled with water, which you are trying to bail out so you don’t sink. But each time a wave (emergency) comes by, you take on more water (debt). The cycle keeps on going. Even if you’re making progress, and the total amount of water is less and less, every time you see a wave coming you tense up and brace for impact, hoping this won’t be the wave that sinks you. Not until you turn your rowboat into something larger and more stable will you feel confident you can handle the oncoming waves. And with a larger boat, you will be less likely to take on any additional water (debt) even when those emergencies occur. The way to build a bigger boat is with a strong financial foundation. You can do this by creating a fund for emergencies. The benefit of having some form of rainy-day or emergency fund is it helps you weather the storms (or waves) that come along in life. Whether it’s your car breaking down or unforeseen medical bills, you’ll have money saved up to help you get through the tough times. If you don’t have this buffer of savings, any time an emergency takes place, you’ll be forced to go into additional debt, usually by using credit cards. With most credit card interest rates starting in the teens, this is a bad thing to fall back on. Disability insurance: This type of insurance protects your ability to earn money. If you invested a lot of your time in school and yourself to build up your value to your employer, you should protect yourself. Life insurance: If you have a family that depends on you to support them, you need to strongly consider taking out a term insurance policy. This doesn’t mean you’ll automatically make more money by investing than by paying off your student loans, although it may be possible. This is about creating good money habits. For qualified accounts like a 401(k), 403(b), or IRA, there are annual limits on how much you can contribute. Any year you don’t make a contribution is a lost opportunity. It is difficult to stare at a big debt balance. Physicians and dentists especially are haunted by the massive amounts of student loans they have, and it’s very tempting to throw a lot of money at the debt as quickly as possible. Paying down your loans is not a bad thing, but you need to build some type of foundation that will allow you to weather any storms that come. I still have student debt I’m paying off. I could easily zero out the balance with a few clicks of the keyboard. Instead, I’m maintaining high levels of liquid funds and investing in multiple businesses to help me accelerate the wealth-building process (i.e. building a bigger boat). 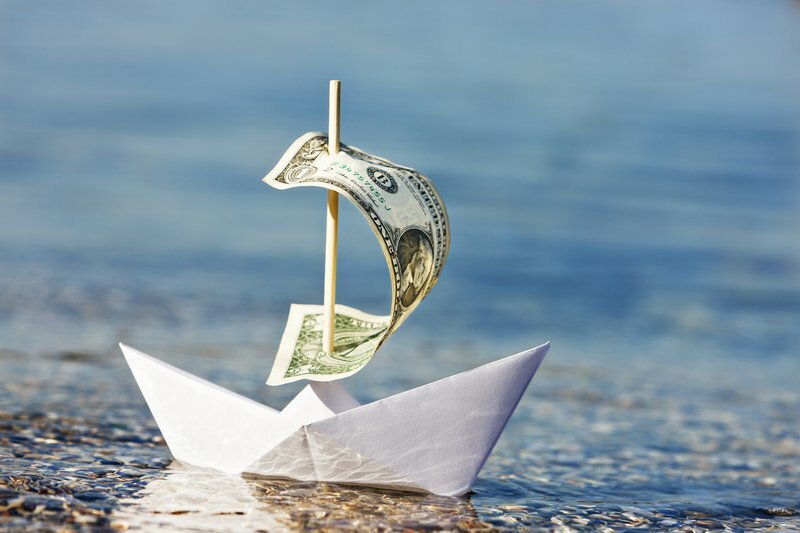 Before you put all of your money towards your student debt, think about which sounds better: constantly dumping water out of your little rowboat, or turning your rowboat into a sailboat, or even better, a yacht.